We were delighted with the product that Scorchsoft developed for Astrid. It's a clean, easy interface that enables us to do some complex management but allows customers to access our system and service very simply. Scorchsoft's expertise was great when we were setting the specifications for the project and they helped us to focus on the essentials for our MVP, planning in improvements and less-critical development for later. They delivered the project to budget, meaning we had good control of our costs. 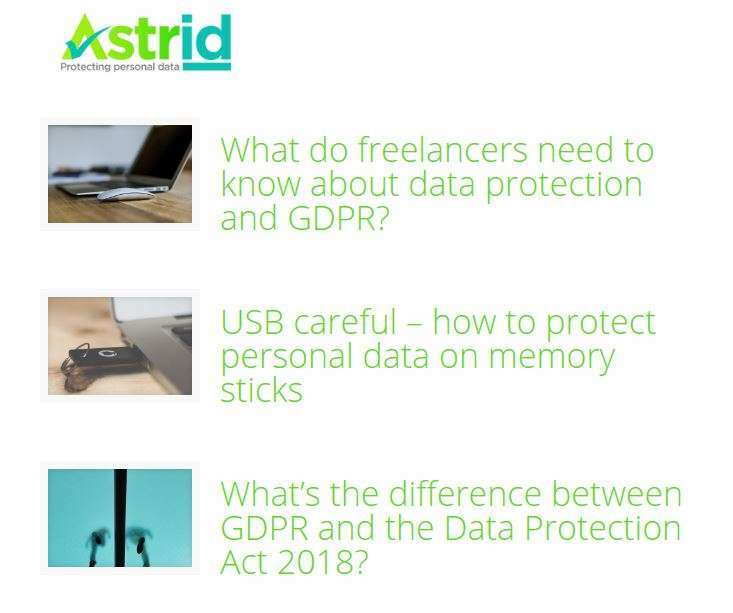 Astrid helps small businesses to protect personal data and meet GDPR requirements. The portal makes it easy for customers to navigate the complex regulations, showing them what to do, and providing all the information they need. The app provides easy-to-complete tasks with clear guidance and template files. 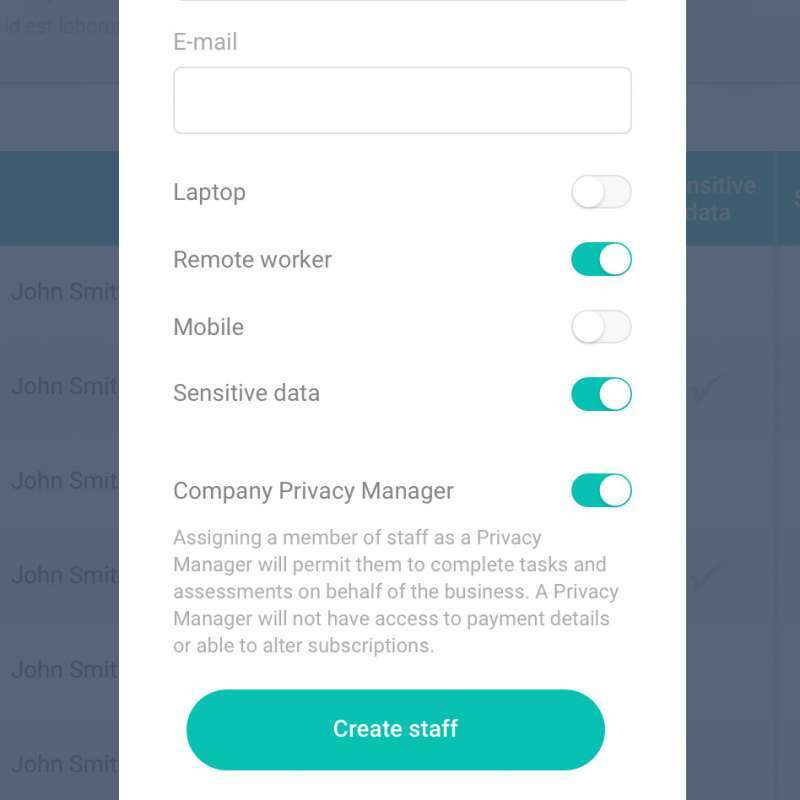 Admin users can create new staff members, invite them by email, and assign the various user rights that are appropriate to them depending on their role within the organisation. The permissions that a user is assigned determines what sections they are able to see, and the level of functionality available to them. Once staff are added to the platform, automated emails are sent to get them set up and ready to go. 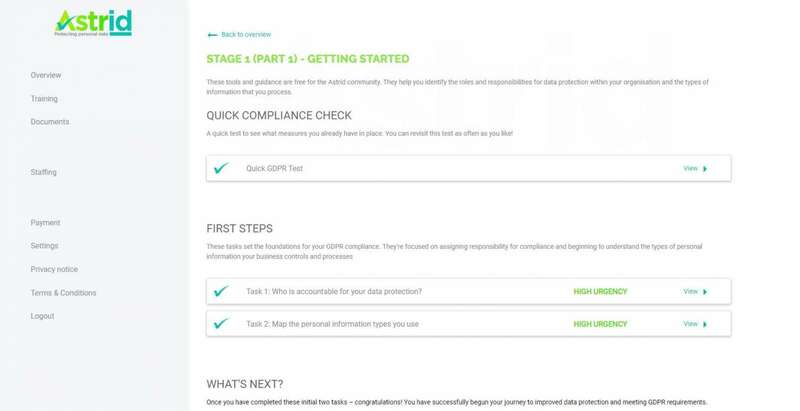 Astrid provides a range of template files in an easy to use document repository, allowing their clients to easily complete the various tasks required to achieve GDPR compliance. Once the user has completed a template document with their own data and processes, it can be uploaded to the system as an auditable record. The user simply selects the file, the nature of the document and the date it was signed. Once the document is uploaded, we've configured their back-end to securely encrypt the file to provide an extra layer of protection. Astrid staff can add new resources and materials to their resources area for their clients to find and use. 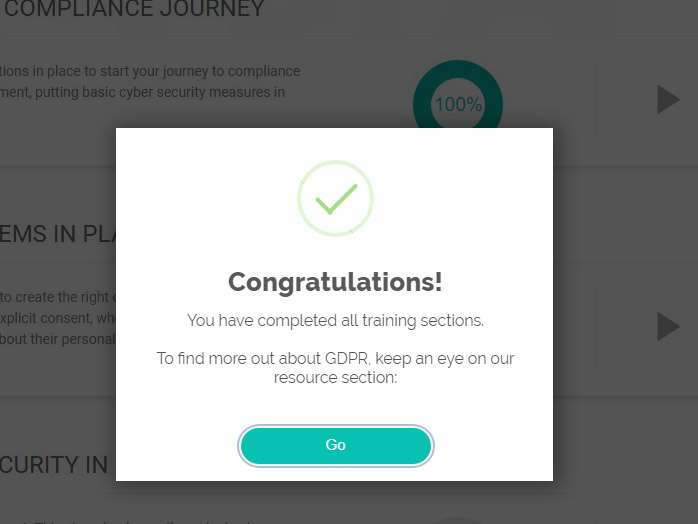 Resources include posts about GDPR including in-depth templates guiding the user through their journey towards GDPR compliance. 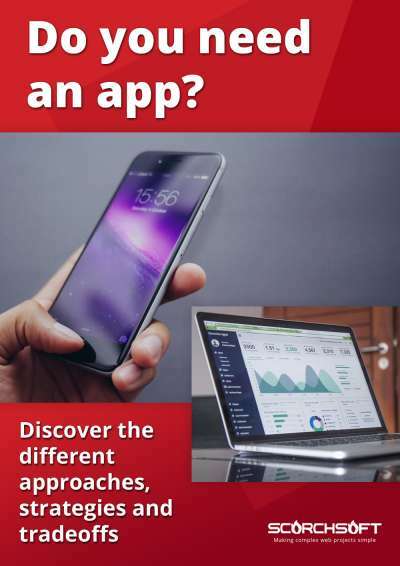 The system supports a range of different file formats, including PDF and docx files, and the resources area is easily accessible on mobile, tablet and desktop devices. Astrid is a Software as a Service product (SaaS) with a business model that relies on taking monthly recurring payments from their clients. Clients get access to the service each month that they remain a paying customer. As a result, managing payments in-app had to be very easy. 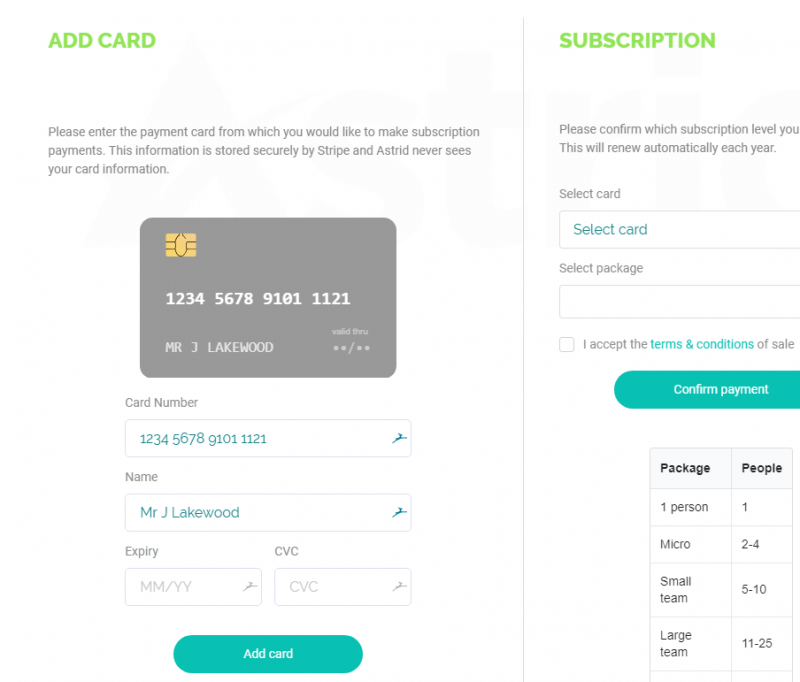 The payment and billing area allows clients to add their payment method, showing a friendly interface that copies how their credit or debit card might look. They can add multiple payment methods, and easily upgrade or downgrade between the various packages available. Higher packages entitle the company to additional entitlements, such as access to further content or allowing more staff members access to the platform. As the company goes through the Astrid process, their answers are recorded and their progress tracked. The chapters of training become unlocked as users within the organisation complete the previous sections. This approach game-ifies the process, encouraging users to aim for 100% completion.